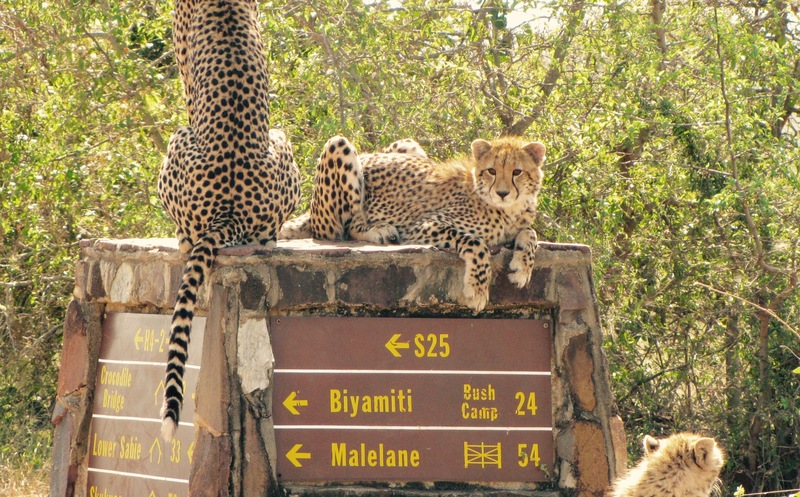 Kruger Park. We do love it. So these cublings are a little old now, but when cheetah cubbles are very small (and I mean really, really tiny) they have a white mantle of fur along their backs. Theory goes that it makes them look like honey badgers from a distance. From a very great distance. If your eyesight isn’t great. The honey badger suit is meant to give them a little extra protection from predators who’d snack on cheetah ducklings but wouldn’t risk messing with a badger. Evolution is my happy.